Cutting edge features by adapting mobile and Internet of Things trends. Allow visitor’s access to hotel's services on demand, anytime. 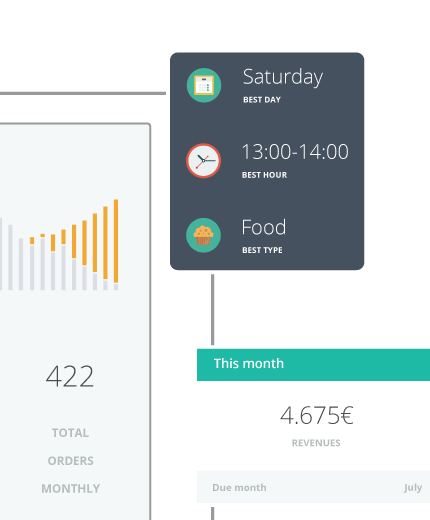 Interact with them, recommend localized experiences and manage their requests efficiently. Avoid unpleasant situations such as misunderstandings, missed calls or delays. Replace old-fashioned flyers and room phone calls with an interactive and engaging way to promote your brand, on mobile. Deal with requests, orders and reservations, monitor operations and view comprehensive analytics on a single dashboard, available on hotel's tablet - at the reception, the kitchen or on the go. Instantly clear data, available any time you need it. 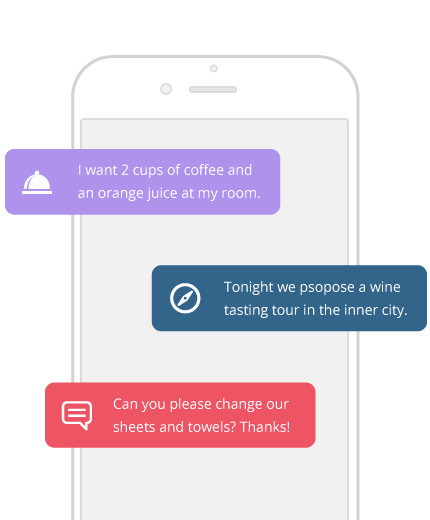 It's easy to communicate with guests, keep up with updates and make intelligent decisions for your business. 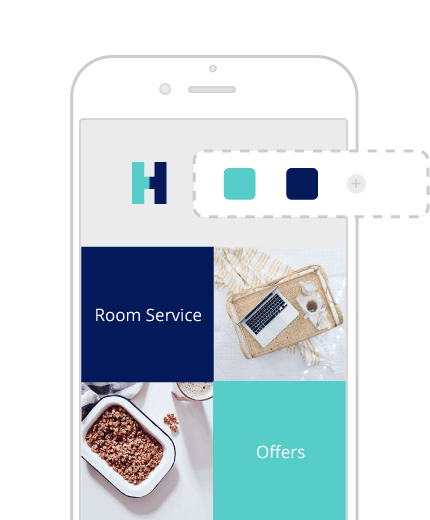 As hotel guests make use of the mobile app we provide hoteliers with insights about what they want, what services they use and how they spend their money. 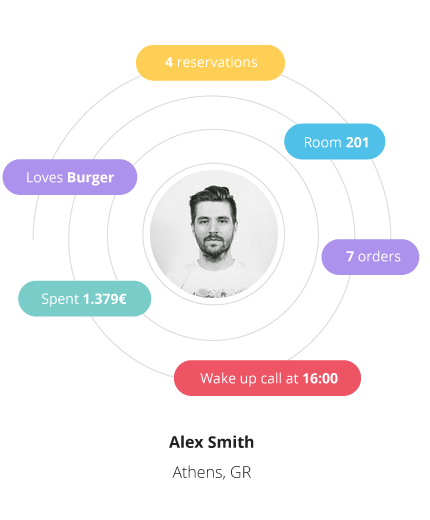 Track the flow to determine when and what guests would like to purchase. Upsell at the right moment, serve their requests even before they make an ask and build a personal relationship with them. Guest profiling and direct communication are available during and after their stay, helping you to provide better quality of services. Automatically ask for feedback before guest's departure. Correspond personally to potential complaints or wrong impressions. Handle situations gently and avoid a later harmful reputational review. Send messages to guest's smartphone and smartwatch about discounts, highlights and events during the time spent on-property. Keep in touch with them even after their departure. 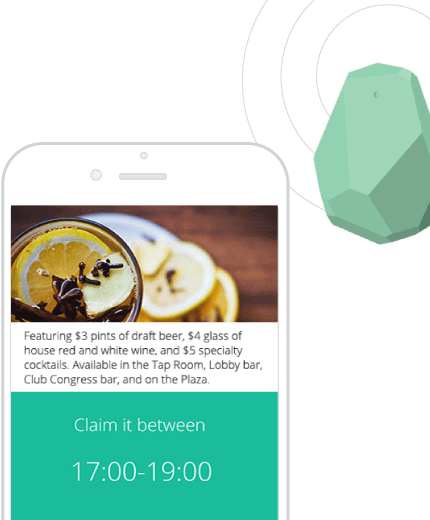 Using location based devices, like beacons, you can automatically send predefined messages for real-time interaction, such as a discount for the spa when guests are close to the facility. Appearance and content matters. Grabbing guest’s attention is crucial within the first few seconds of interacting with your services on mobile. A simple, elegant, clear interface combined with to the point information will impress. Use the default playful design or adjust the colors based on your brand's identity.